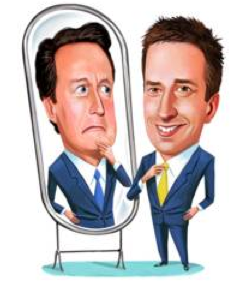 Here’s my latest The Other Side column for ConservativeHome, published here on Tuesday. I looked at the lessons of history of the Liberal Party’s collapse a century ago for the Tories today. My thanks as ever to the site’s editors, Paul Goodman and Mark Wallace, for giving a Lib Dem space to provoke – constructively, I hope. 100 years ago, the Liberals were sitting pretty. The party had won three consecutive general elections: the landslide of 1906, followed by two much narrower victories in 1910, after which the Liberal Government’s anti-Tory majority was sustained thanks to the backing of Labour and Irish nationalists. By 1914, the party could look back with real satisfaction on its legislative achievements: pensions and unemployment insurance had been introduced, the supremacy of the elected Commons over the unelected Lords asserted. And then, on 28th June, a Bosnian-Serb, Gavrilo Princip, fired a series of bullets from a pistol at the Archduke Franz Ferdinand of Austria, heir presumptive to the Austro-Hungarian crown, and his Consort, Sophie. As that week’s edition of The Economist reported, ‘Two of them instantly took fatal effect; the Archduke was mortally wounded in the cheek, and the Archduchess, who had endeavoured to shield him, was shot in the body and sank unconscious in his arms. By the time the car reached the hospital both were dead.’ What it termed ‘this dastard act’ sparked an international diplomatic crisis that triggered the Great War. It had far-reaching and long-lasting consequences for the Liberal Party, too. The war forced the Liberals in 1915 to invite not only the Conservatives to join a formal coalition, but also brought Labour into government for the first time. This exacerbated discontent in the ranks, as coalitions have a habit of doing. Backbench rebellions grew as conscription was introduced in 1916 for single men and in 1917 for married men. ‘With this wanton breach with historic Liberalism, that great movement practically comes to an end and a new alignment of parties must gradually take place,’ prophesied one leading Liberal journal. Part of that new alignment emerged thanks to the schism between HH Asquith and David Lloyd George, with the latter replacing the former as Prime Minister in 1916. Imagine for a moment if Vince Cable had heeded the urgings of his close political friends and supplanted Nick Clegg as Deputy Prime Minister in 2012, but that Clegg had held on as party leader. Then imagine that both Cable and Clegg continued to head different factions for the next 10 years. It was just such an implausible scenario that was acted out in front of the British electorate from 1916 to 1926, when Asquith finally gave way to Lloyd George. They made the Alliance’s ‘Two Davids’ looks like the model of united togetherness. Labour gradually elbowed the Liberals out of contention. By 1924, just a decade after the Liberals had dominated the British political landscape, the party attracted less than 18 per cent of the mass franchise vote and had been reduced to 40 MPs. By the time the Asquith Liberals and the Lloyd George Liberals remembered that more united than divided them, the electorate had lost interest. The brief, flagging revival in 1929 under the ‘Welsh Wizard’ merely underlined how the party had been usurped from relevance: Labour was now the largest single party in the Commons, established as the anti-Tory opposition in a two-party electoral system, and the Liberal Party was to be little more than a political footnote for the next two generations. Why am I telling you this? It’s not because I imagine ConservativeHome’s readers have much interest in my party’s Edwardian ‘strange death’. It’s because it’s all too easy to believe political parties are both permanent and unassailable. Yet the collapse of Liberalism 100 years ago shows that, given a particular combination of tricky circumstances, no party is guaranteed future success based on past performance. His failure to thwart Jean-Claude Juncker’s nomination as President of the European Commission does little to alter that simple fact. Those of our European partners who want the UK to remain within the EU will ensure Cameron does not go back home from his negotiations empty-handed. They will offer him just enough to allow him to declare victory; and that “mild and minor” package will be something that we Lib Dems can also happily live with. And the polls are clear that, if Cameron recommends a renegotiation deal, the public will back our continuing EU membership. It’s this ‘what happens next?’ that intrigues me. Some Tory ultra-right-wingers will, if Cameron campaigns for a ‘Yes’ vote, immediately defect to Ukip. The question is: how many ultras are there? How many of the less ultra, Eurosceptic ‘Fresh Start’ group of Tory MPs can be persuaded to stay loyal? Would any of the current cabinet challenge Cameron’s leadership? Who, quite frankly, knows? Cameron is doing his best to hold his party together, but his best may not suffice. The pragmatic, genteel Macmillanite Tory party that Cameron embodies long since ceded control to the ideological, radical Thatcherites: no compromise is their cry, yet that is all Cameron has the power to deliver. Maybe that will prove to be enough. Maybe the party that champions common sense will acquire some for itself. Maybe the Thatcherite ultras and the Cameroon pragmatists will realise parties do better when they stick together and put the voters ahead of their own squabbles. As Liberals can attest, it’s a long way back when you forget.